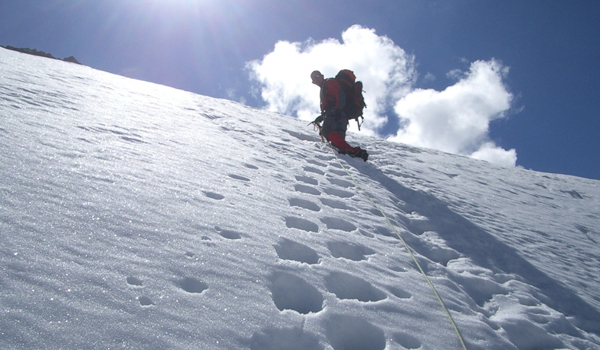 Whenever experienced climbers and mountaineers put crampon to ice, they accept some degree of danger. ACCIDENTS CAN OCCUR EVEN at relatively benign roadside crags. Still, there are certain mountains that command respect from even the most experienced climbers, mountains that continue to inspire awe and anxiety decades after their first ascents. Since its first ascent in 1950, Annapurna has been climbed by more than 130 people, but 53 have died trying. This high fatality rate makes Annapurna, the 10th highest mountain in the world, the most statistically dangerous of the 8,000 meter peaks. 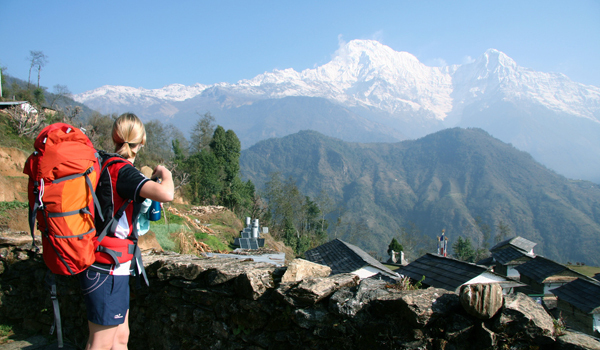 For more information on getting close to this mountain, check out Trekking the Annapurna Sanctuary in Nepal. The world’s second highest mountain is known among climbers as one of the most technically difficult in the world. Ascents of even the easiest route require crossing a complicated glacier, ascending steep sections of rock, and negotiating a path around a series of ice pillars, called seracs, which are prone to collapse without warning. The technical difficulty of this mountain makes it one of the most committing and dangerous in the world. When you look at the fatality rates on the world’s most dangerous mountains, you’ll see that most decrease as time goes on. One notable exception is Kangchenjunga, the third highest peak in the world. Death rates have reached as high as 22% in recent years, a reflection of the avalanche and and weather hazards that plague this dangerous mountain. If you are interested in seeing this mountain up close, Matador Trips has a great reference: Trekking the Mt. Kangchenjunga Circuit in Nepal. 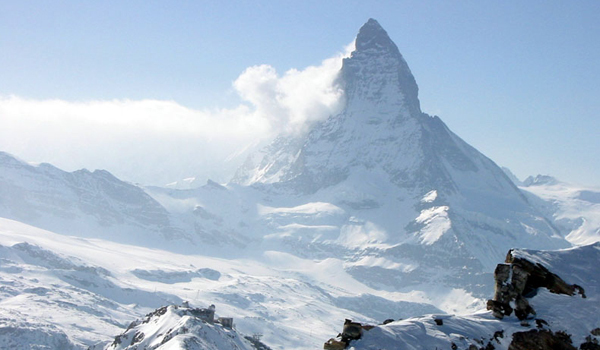 The Nordwand, or north face, of this peak in the Swiss Alps is an objective legendary among mountaineers for its danger. Though it was first climbed in 1938, the north face of the Eiger continues to challenge climbers of all abilities with both its technical difficulties and the heavy rockfall that rakes the face. The difficulty and hazards have earned the Eiger’s north face the nickname Mordwand, or Murder Wall. This iconic mountain, which looks like a horn rising out of the surrounding valleys, has one of the highest fatality rates of any peak in the Alps. This is caused by a wide range of factors, including technical difficulty, the prevalence of avalanches and rockfall, and severe overcrowding on routes during peak climbing seasons. Mt. Vinson, the highest mountain in Antarctica, is not notable for its height, technical difficulty, or fatality rate. However, the mountain’s isolation, combined with the extreme cold and unpredictable weather on the continent, makes Vinson a very serious undertaking. Even a small accident here could be disastrous. Commonly known as The Ogre, Baintha Brakk is considered one of the most difficult mountains to climb in the world. Though it saw its first ascent in 1971, The Ogre was not summited again until 2001. 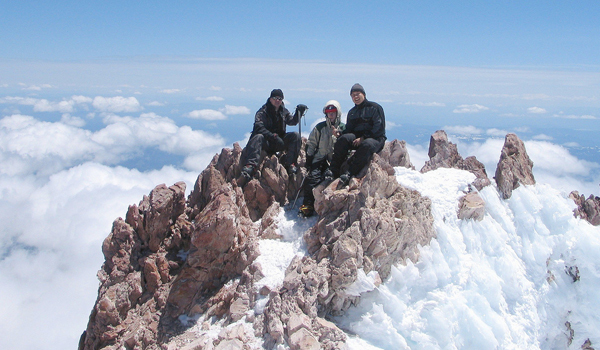 One of the first ascentionists, Doug Scott, broke both of his legs on the descent, forcing him to crawl through a major storm to the team’s base camp. This famous epic and more than 20 failed attempts on the peak have earned it a reputation as one of the most dangerous in the world. More that 1,500 people have climbed the highest mountain in the world, with as many as 50 people or more reaching the summit on a single day. This congestion, when combined with Everest’s extreme altitude, makes it an undeniably dangerous objective. Whether you plan to summit or not, trekking to Everest’s base camp is one of the 5 Best Treks in Nepal. Mt. McKinley, also known as Denali, is the highest mountain in North America. Though its altitude is only 20,320 feet, its high latitude means that the atmosphere is far thinner than it would be at the equator. For the many people who climb Denali each year, the altitude, weather, and extreme temperature pose a serious danger. For these reasons, the success rate on Denali is around 50% and more than 100 climbers have died attempting the summit. Cerro Chalten, or Mount Fitz Roy, is the tallest mountain in Patagonia’s Los Glaciares National Park. Fitz Roy’s summit is guarded on all sides by steep rock faces requiring difficult, technical climbing to ascend. Because of this, it was considered one of the most difficult mountains in the world for decades. Even today, the region’s unpredictable weather and relative isolation makes it extremely dangerous. As a result, Fitz Roy may see only a single ascent in a year: truly the mark of a dangerous, difficult mountain.